The purpose of higher education revolves around four major concepts such as: Production of qualified human resources, Training for a research career, Efficient management of teaching provision, and Matter of extending life chances. 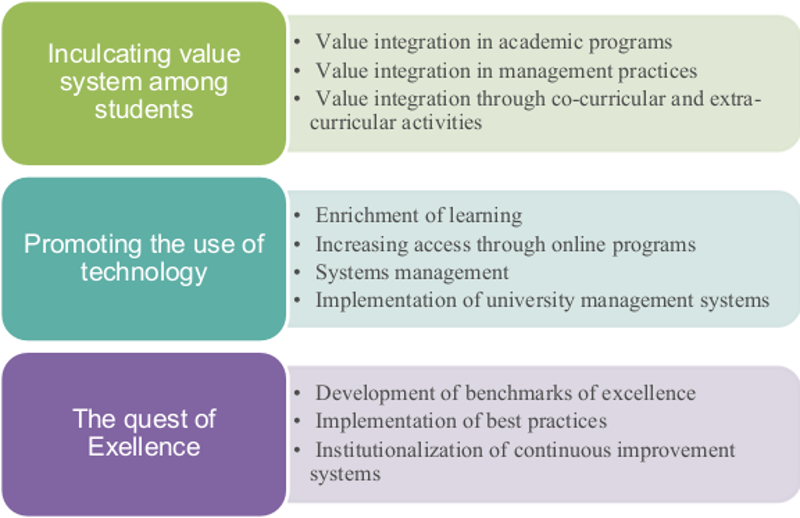 A well-defined, formal, transparent, and credible approach towards quality assurance is the need of the hour to make the higher education especially, professional education delivery system robust and industry updated in developing countries. In India, implementation of a strong quality assurance policy at the University level has become a necessity owing to various factors like higher education reforms, directives by UGC/MHRD, and entry of foreign universities. At Glocal University, we are committed to deliver quality higher education of truly global standard to all the socio-economic sections of the society. Our approach to quality assurance involves both internal and external mechanisms that would help strengthen and align academic as well as administrative processes followed in the University thereby achieving excellence in all parameters set by regulatory bodies. The quality policy will act as a guide to develop the quality assurance framework stating principles, guidelines, and procedures for implementation of institutional quality assurance system. Equitable access to and affordability of academic programmes for various sections ofsociety. f)	Build an organised methodology of documentation and internal communication. 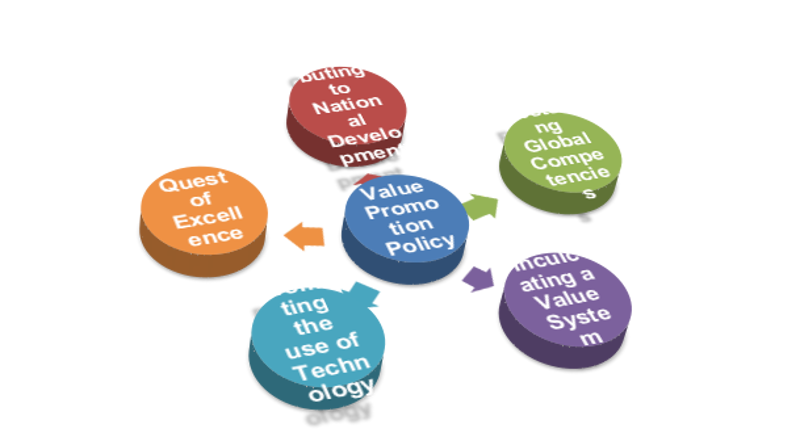 Purpose: The value promotion policy severs five fold purposes. We strive to become a centre of academic excellence through high quality teaching, research, learning resources along with intact work ethics and human values contributing towards sustainable development of the society. To provide guidance in development and implementation of internal and external quality assurance procedures. To set internal standards that are consistent with international standards for various academic and administrative activities. To ensure the quality of academic delivery meet standards set by the regulatory authorities. To ensure skill development of students that are relevant to industry. To cultivate a culture focused on continuous quality improvement. To identify areas of improvement in various academic as well as administrative procedures and take corrective measures accordingly. Leadership and commitment of top management plays a significant role in quality improvement. Creating an environment for learning and staff development is crucial to do tasks right everytime. Adopt new philosophies and technologies that can improve the quality. Encourage teamwork and participatory management. Develop a communication strategy to report progress and results. Recognize the efforts of staff without creating a competitive environment. Put appropriate systems and processes in place as per the needs of the stakeholders. Encourage quality circles and a culture of quality. Formation of the academic council to develop and implement academic policies throughout all the constituent schools of the university. 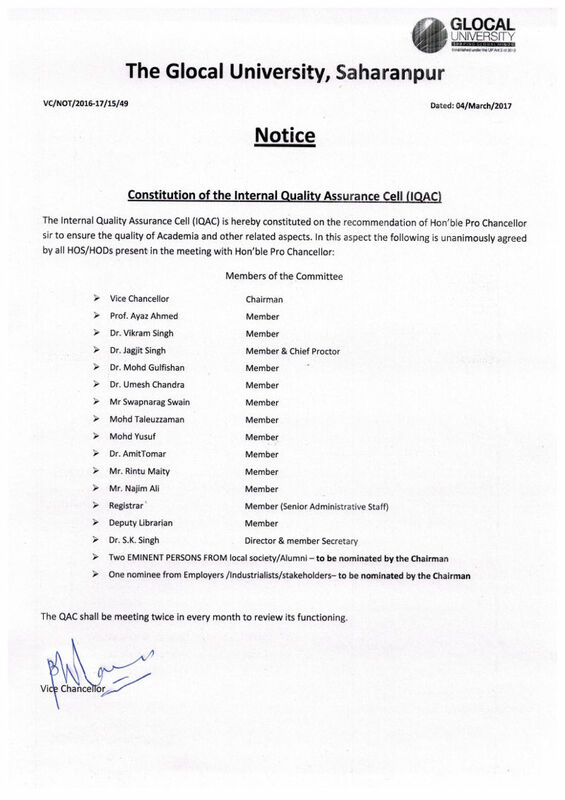 Conduct of periodic reviews of all academic and administrative departments of the university. Promoting the use of technology, especially the university IMS to monitor academic progress to create a eco-friendly paperless environment and cutting down unnecessary paper based activities like ADR (Academic Daily Report), FDR (Faculty Daily Report), SAR (Self Appraisal Report), SPR (Student Progress report). Implementation of a system of course coordinators at the individual school level to monitor academic progress in each semester. Conduct of periodic review of course curriculum by the academic council. 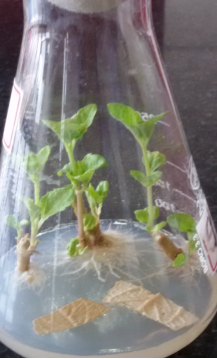 Implementation of a performance based incentive system for teaching and research. Establishment of processes to periodically collect data related to student experience and analyze them to find out areas of improvement. Implementation of students feedback for faculty members at the end of each semester and sharing the same with concerned faculty members. Establishment of a 360 degree appraisal system for evaluation of performance of faculty members and administrative staffs of the university. Establishment of a system to periodically evaluate employee satisfaction and take corrective measures accordingly. Continuous monitoring of students’ attendance in class through proper management of University IMS. Development of a uniform format for developing course codes, course outlines and implementing the same throughout all the constituent schools of the university. Provision of fund for faculty development through conducting or sponsoring for conferences, seminars, workshops, and training programs. Establishment of proper process for students’ grievance redressal system. Establishment of a proper process for admission of students to various courses run by the university. Provision of fund for various extra-curricular activities by students. Establishment of a centralized industry relations department to strengthen the industry interface of the university thereby improving the placement scenario. Development of infrastructure of class rooms to provide an interactive learning environment (with special emphasis on installation of OHP with audio-visual facility in all the class rooms). Standardization of time table followed at the level of constituent schools of the university. Maintenance of faculty-students ratio across all the schools as per the guidelines issued by respective regulatory bodies. Formation of a committee to establish linkages with foreign universities for academic collaborations, students and faculty exchange programs. The National Environment Policy (NEP) of the country is highly committed to towards adopting strategies of sustainable development and diversity conservation as mandated in articles 48A and 51A(g) of the Indian constitution. 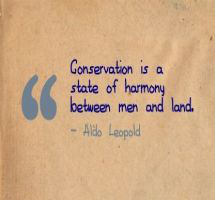 While recognizing the conservation of environmental resources as necessary to secure the livelihood and well being of one and all, the NEP strives to ensure that people dependent on particular resources obtain better livelihood from their conservation, rather than degradation. The NEP reiterates that only such development is sustainable, which respects ecolological constraints and the imperatives of social justice. The NEP takes a comprehensive view of our environmental concerns and also outlines a few guidelines which deserves mention as a preface to The Glocal University Policy on Environment, Diversity Conservation & Sustainable Development (TGU-PEDCSD). The key objectives of NEP are conservation of critivcal environmental resources, intragenerational and intergenerational equity, and integration of environmental concerns in economic and social development, efficiency in environmental resource use, environmental governance and enhancement of resources for environmental conservation. The policy highlights the normative principles underlying policy action, strategic themes for intervention, broad indications of the legistative and institutional development needed to accomplish the strategic themes, and mechanisms for implementation and review. It also intense to guide action in such areas as regulatory reforms, programs and projects for environmental conservation; and review enactment of legistation, by agencies of Central, State and Local governments. In accordance with the india’s National Environmental Policy the Glocal University expresses its commitment to be a positive and a creative catalyst in the protection and enhancement of the local and the global environment and sustainable development through teaching, research, public service, administrative and support operations. The university is committed to foster a culture of environmental responsibility, both within and outside the University. Thus TGU-PEDCSD is hereby crafted to ensure that the protection and improvement of the environment remains the guyiding principles for all our activities within and across the University. 1. ensure that the environment will not suffer as a result of various activities undewrtaken by the University. This entails minimization of negative impacts on the environments, conservation and judicious use of natural resources, respect for biodiversity and rehabilitation of degraded environmental components. 2. provide safe and healthy environment for staff and students. 3. promote environmental awareness and sensitivity among the university community by sensitizing how their actions can affect the environment, and how even small changes in their attitudes and actions can collectively contribute to a more sustainable future and improved quality of environment. 4. ensure compliances with all applicable environmental regulations. 5. develop environmental auditing and monitoring procedures effective for a university setting. 6. ensure and encourage greater commitment to multidisciplinary researches in environmental issues at local, national and global levels. 7. participate and contribute top the environmental decision-making processes at the community level and launching initiatives to promote networks cutting across universities and civil societies, thus assuming the stewardship of the regional environment. (a) develop and recommend programs to meet the objectives of environment protection and encourage community participation. (b) to establish action groups and organizing interactive sessions within the University and outside the university for biodiversity conservation and environment protection. (c) periodical review of university policies and its impact on the environment and diversity of the campus and local area. (d) carry out environmental audits and pilot projects. (e) undertake education and training programmes to inform the university community about various resources and its conservation. (f) seek funding for environmental initiatives. (g) monitor best practices and formulate and publicise environmental ‘Do’ and ‘don’t’ for the residents from time to time. The University shall designate an Environment Affairs Officer who shall act as Secretary of the Environment Affairs Committee (EAC). This officer shall receive complains and suggestions from campus residents regarding environmental violations and shall take necessary follow up action in the matter/s.